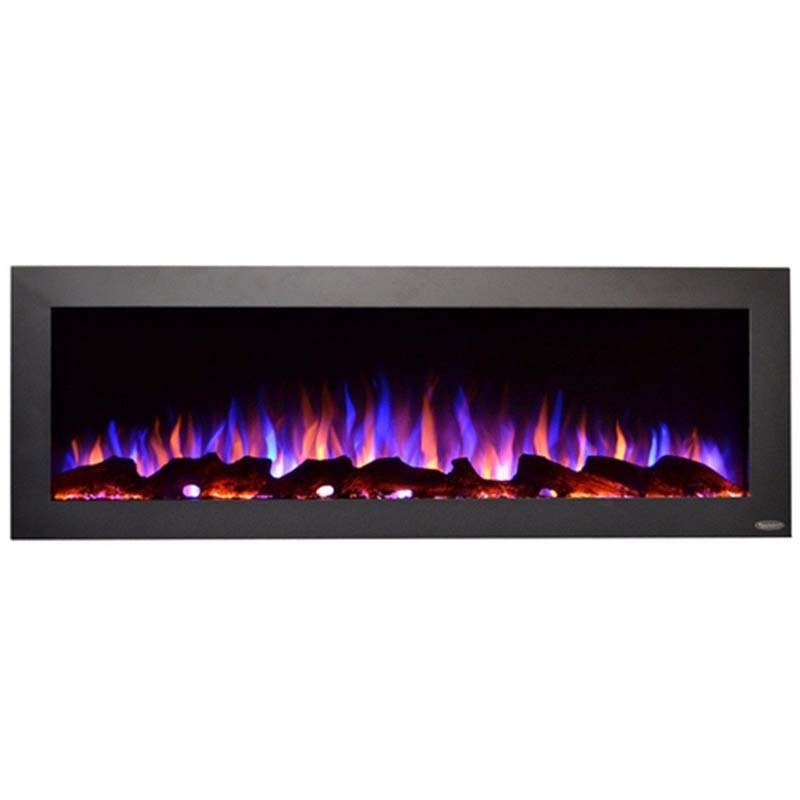 More on the Touchstone Sideline Outdoor Wall Mounted Electric Fireplace (Black) 80017 below. 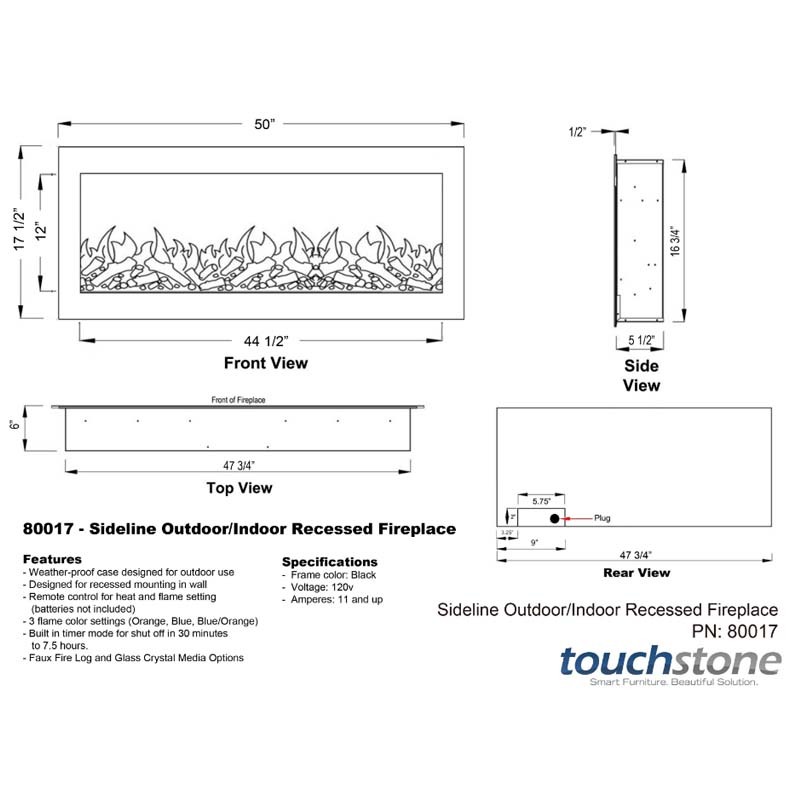 Touchstone's Outdoor/Indoor Sideline® was developed expressly for customers who have consistently asked for an outdoor electric fireplace solution. 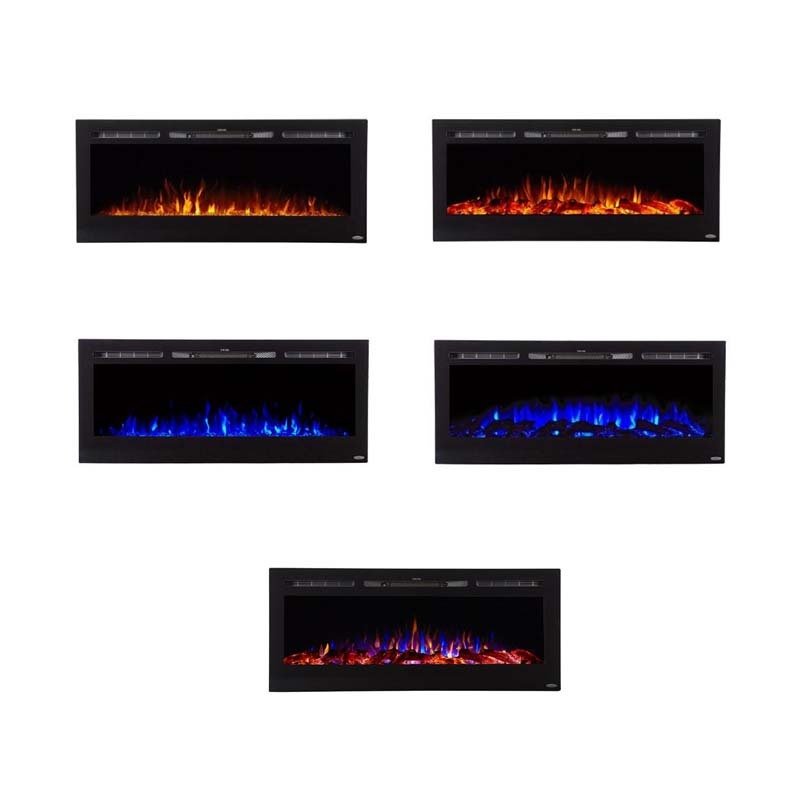 The Sideline Outdoor Fireplace is designed for use on a porch or patio, with a unique blue and orange flame combination, where each color can be used separately or together. This wall-mounted fireplace is designed for hanging on brick, stone or siding. Unlike our standard fireplaces, this unit has no heat option but is designed for reliable outdoor use. Don't let the "Outdoor" in the name stop you from using this fireplace inside the home. The quality of the frame and flame make this ideal for indoor setting as well. 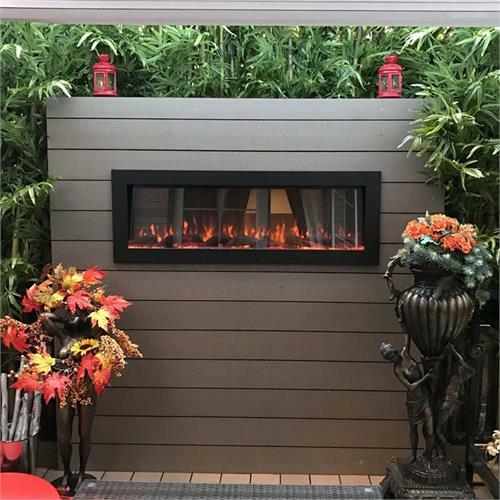 This outdoor electric fireplace is perfect for the porch or poolside. At Touchstone we pay attention to our clients, and we develop products around what they look for in a fireplace. This model is exactly that. The Outdoor Sideline® is now in stock and ready to ship. 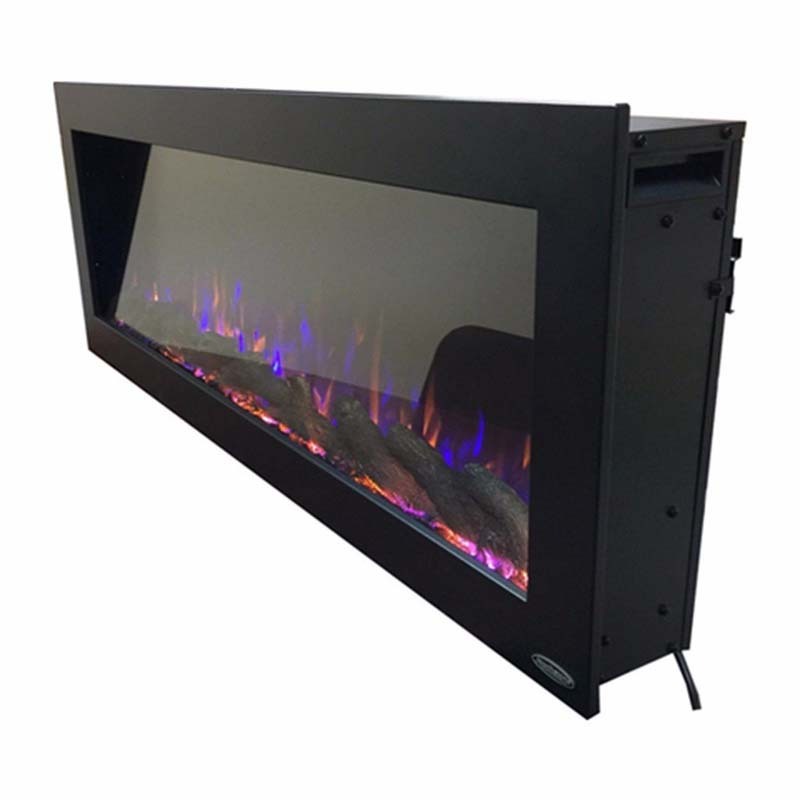 The Outdoor Sideline® Electric Fireplace is the first Touchstone fireplace with dual color flames. The base colors are blue and orange, and they have a third flame setting where they are combined, creating an even more realistic flame. With five (5) flame settings and three (3) flame colors, you have 15 possible flame settings. The top setting is a roaring flame, and the bottom setting is a peaceful ember, all controllable from the included remote control. So many Touchstone fireplace customers see our fireplaces at tradeshows and are hesitant to touch the front glass panel. The flame set is so realistic that many think its a gas flame. Read more about the benefits of electric fireplaces. Exclusive to All Touchstone Sideline Series Fireplaces. 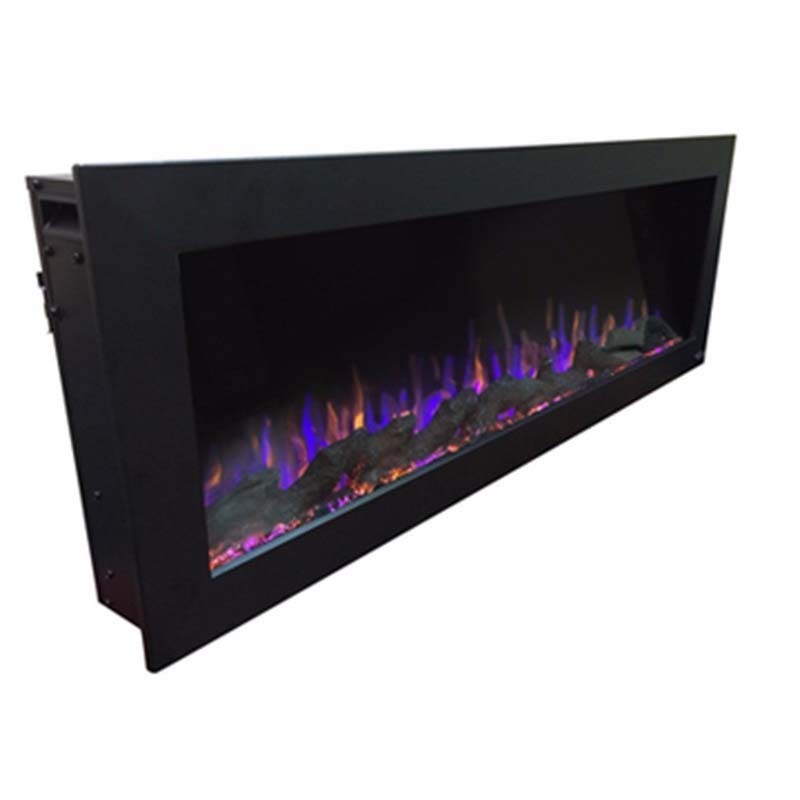 All Sideline Series Fireplaces now come with both glass crystals and a faux log set. For a contemporary feel, install the glass crystals. Or for a more traditional look, install the faux log set. 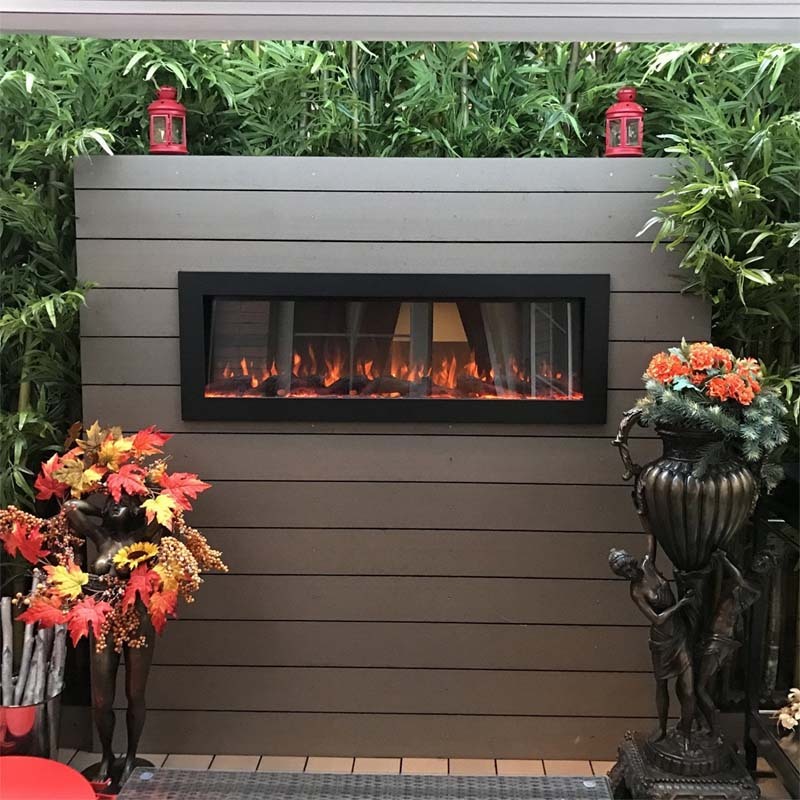 The Sideline Series Fireplace ships with both options, so you can choose the look that is right for you.